Pimento Cheese! If you are one of my Southern readers, then you know the goodness that comes from the combination of cheese and pimentos. And if you are not from the South, well, then branch out! Along with the curry egg salad recipe, this is one of his frequently requested dishes! He puts it on everything...crackers, eggs, potatoes, sandwiches. I have even seen him eating it straight from the container with a spoon. 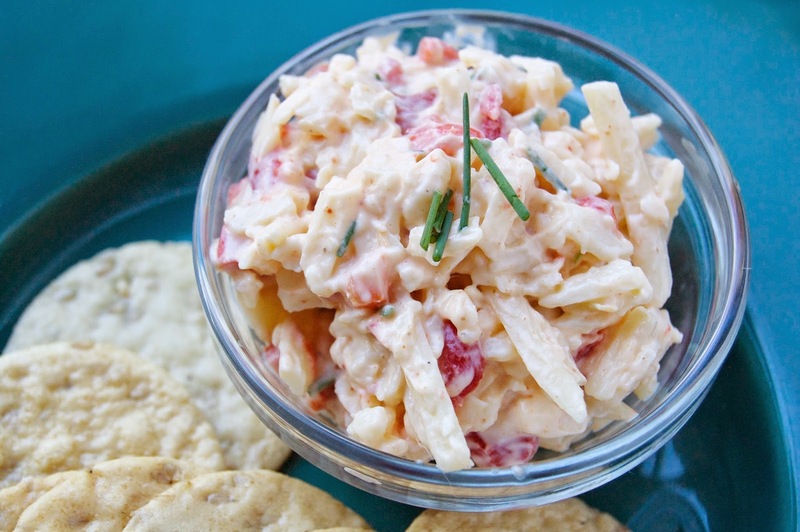 What is the key to a good pimento cheese, you ask? Well, let's think about that carefully....THE CHEESE. You must start with good cheese. And no, Velveta does NOT count! I think the best combination is a sharp white cheddar (preferably Vermont or New Zealand) and a Gruyere/Swiss mixture I get from Trader Joe's. If you want to splurge, you can just do Gruyere, but it is expensive. 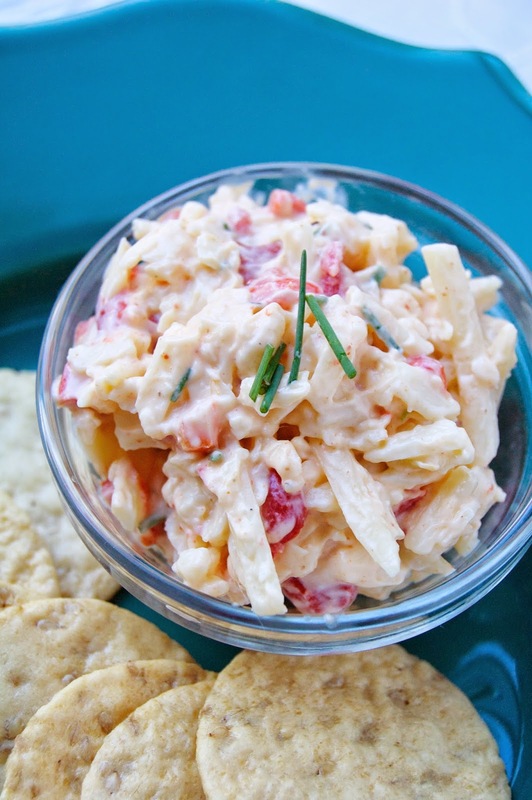 In my opinion, this is the best pimento cheese recipe out there, but I might be a little biased. Ryan definitely agrees with me! I will be the first to admit that this is not the healthiest dish on my site. However, it is certainly a lot healthier than the version that you buy in the grocery store. I am using less mayonnaise and a lighter version. I am also using a harder cheese, which has less saturated fat than a softer cheddar. And finally, there are such bold flavors in the recipe, that a serving is less than usual (although it is hard to resist)! Mix everything in a large bowl until well combined. Adjust the spices to taste. Store in an airtight container for up to two weeks (if it lasts that long)!! *Only add two jalapenos for a more mild pimento cheese. Gravy, and Golf, and Guns! Oh My!